After weeks of scandal, Warner Bros. CEO Kevin Tsujihara has officially stepped down from his position at the studio. This was confirmed by internal emails that went out to staff members at Warner Bros. today, Comicbook.com has learned from sources. 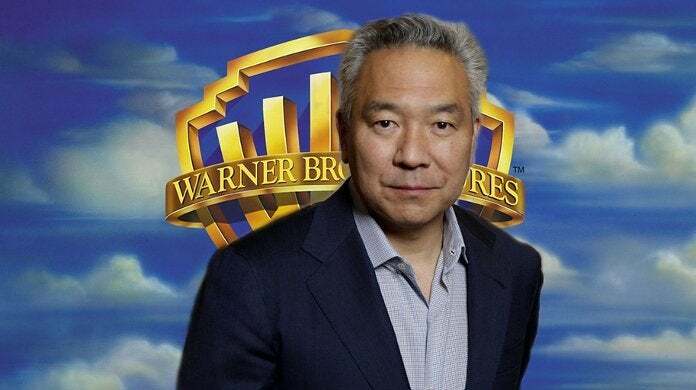 "WarnerMedia today announced that Kevin Tsujihara will step down as Chairman and chief Executive Officer of Warner Bros. Entertainment. WarnerMedia has yet to name a successor for Tsujihara." The road to Kevin Tsujihara's departure was paved by an expose that the Warner Bros. CEO had entered into a alleged 'Pay for Play' sexual relationship with actress Charlotte Kirk starting back in 2013, when she was just 21 at the time. Text messages have revealed the back-and-forth process of Kirk engaging in a sexual relationship with Tsujihara over the course of three years, in exchange for promises of casting in the studio's major tentpoles. Other famous Hollywood power players like Brett Ratner and Avi Lerner were pulled into the scandal, while apparently trying to implement Tsujihara's promises to Kirk to get her roles in bigger films. Kirk originally denied the existence of the scandal, issuing a statement in early march that, "I emphatically deny any inappropriate behaviour on the part of Brett Ratner, James Packer, and Kevin Tsujihara, and I have no claims against any of them." "I acknowledge I may have made some poor choices and I'm sorry for that," Kirk told the MailOnline. "But I've learnt from my mistakes since then and grown a lot, as a person, as a woman, and as a professional actor. I can't stay quiet any more. It's bad enough to be defined by others, but when the person they put on the page has no relationship to who I am, I feel compelled to speak out." This major shift in Warner Bros. leadership comes at a time when Tsujihara was just starting to show off his prowess at taking the studio in a better direction - most notably with the DC Films franchise, which has struggled since Zack Snyder launched the franchise on the backs of Man of Steel and Batman v Superman. After Tsujihara was singled out along with Snyder for the early failure of the DCEU, he helped spearhead the movement to give a more diverse range of directors like Wonder Woman's Patty Jenkins and Aquaman's James Wan a chance to put their creator-driven stamps on the DC film properties, resulting in much greater box office success and fan appeal. In fact, the DC films franchise is coming into 2019 strong, with Aquaman having earned $1 billion, Shazam! scoring big in its first wave of reviews, and the highly-anticipated Joker origin movie opening up a big new lane of unique creator-driven DC standalone films. Until we know more about who might replace Kevin Tsujihara, it's hard to say just how the future of the DCEU and so many other WB movie franchises will be altered. The DC Movie Universe continues with Shazam on April 5th, Joker on October 4th, Birds of Prey on February 7th, 2020, Wonder Woman 1984 on June 5th, 2020, and The Batman on June 25th, 2021.